Astrology gets most quickly and profoundly to the heart of someone’s life conditions and present concerns. Astrology sessions are particularly useful for specific problems when one is feeling rudderless; they offer guidance and context. Natal and predictive sessions are in person or on Skype or Zoom. If on Skype or Zoom, I send charts ahead of time as e-mail attachments. If we meet in person, you will receive a copy of your natal chart and other pages we look at together. If you wish, after our session you will receive a voice recording of our conversation. The Series consists of several linked 60-75-minute sessions over several weeks. They can be in person, Skype, or Zoom. 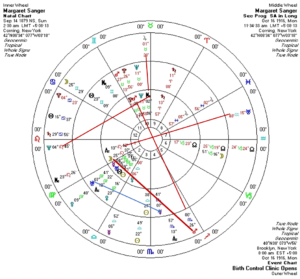 Perhaps you would like an overview of modern or traditional astrology through the lens of your own chart and the events in your own life; or you have studied astrology previously and would like to increase your knowledge of technique and application through examining your own chart and life. Horary astrology provides information based on the exact time or asking a question about a specific situation in your life with an uncertain outcome. Questions may be about career, relationships, health, travel, or missing items, but grounded in an immediate concern ($50). Electional Astrology helps select the most auspicious day and time for beginning any undertaking, including weddings, job interviews, travel ($60). Electional or Horary sessions usually occur on Skype, Zoom or over the phone.